Atlanta is a finalist for Amazon’s second headquarters. Stonecrest, a city 20 miles east of Atlanta, has included several proposals as part of the statewide bid. Georgia’s bid signifies the lengths local politicians are willing to go to land HQ2. The competition for Amazon’s second headquarters, known as HQ2, is heating up. Earlier this year, the tech giant announced 20 metro areas as finalists for the $US5 billion campus, which is expected to bring 50,000 jobs over the next 10 to 15 years. One of those frontrunners is the Atlanta, Georgia area, which submitted a bid that includes a few proposals from the outlying city of Stonecrest. In an interview with CityLab’s Brentin Mock, Stonecrest Mayor Jason Lary said he would de-annex 345 acres (about 15 million square feet) of Stonecrest and name the new city “Amazon, Georgia.” This area, which is mostly industrial, would serve as part or all of the HQ2 site. In Amazon’s RFP, the company said it would need up to 8 million square feet of open space by 2027. While Amazon, Georgia is just a hypothetical at this point, it’s not unheard of in the US to create a municipality and name it after a CEO. The practice was more common in the 19th and early 20th centuries, however. Over the past 200 years, companies across the US have built company towns – municipalities where they own large chunks of housing, stores, schools, churches, roads, and parks. When these towns were founded, the corporation was also often the largest employer. There is also a history in the US of public infrastructure – a proposed highway in this case – being named after CEOs. A section of California’s Highway 87 in San Jose was given the namesake of ex-HP CEO Lewis Platt in 2008, while a four-lane stretch of a highway near Neodesha, Kansas honours Cobalt Boats founder and CEO Pack St. Clair. But unlike Bezos, these CEOs had some connection to the area before the highways were built. In 1996, Platt worked as fundraising chair on a Santa Clara County campaign for highway and transit improvements, and personally raised $US900,000. Cobalt Boats started manufacturing high-end speedboats in Neodesha in the late 1960s. 1000 Jeff Bezos Parkway sounds like it would be exclusively for Amazon’s shipping operations, rather than for public use. 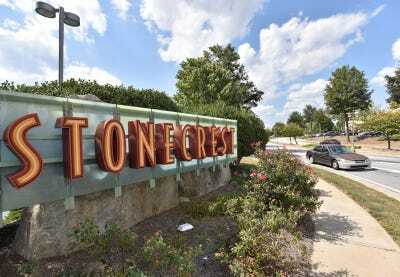 But to build it, Stonecrest could use public funds in the form of local subsidies. Though Georgia’s bid has not yet been made public, Governor Nathan Deal has implied that the state is aggressively pursuing HQ2 with economic and infrastructure incentives. At a recent city event, Atlanta Mayor Kasim Reed also said the state and city are offering incentives and infrastructure improvements that total more than $US1 billion. The state’s bid includes urban and suburban sites and emphasises the region’s transit and airport facilities, workforce, and research universities, Atlanta’s Deputy Commissioner of Global Commerce Tom Croteau told the agency’s board of directors at a recent meeting in Midtown Atlanta. 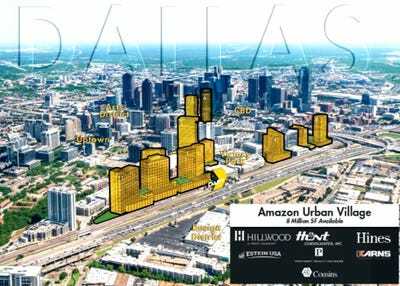 Hillwood UrbanA screenshot from Dallas’ HQ2 bid. Stonecrest’s proposals highlight the extreme lengths that cities are willing to go in order to land HQ2. 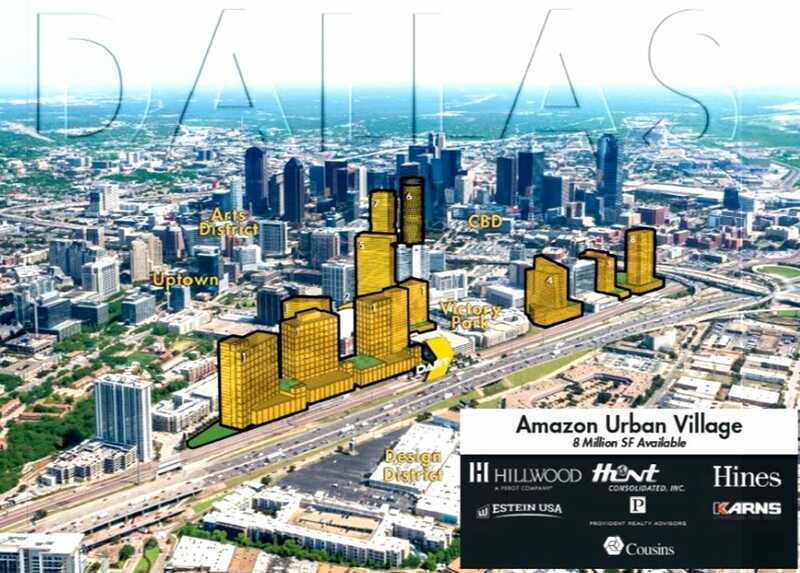 New Jersey is promising $US7 billion in tax breaks; New York City is offering over 26 million square feet of space across three boroughs; and Dallas-area developers are pitching a transit-oriented development that would include a bullet train for Amazon’s campus.